Welcome to blog tour readers! Hunter Shea’s The Waiting isn’t my typical type of read. Paranormal activity and an undercurrent of terror aren’t generally selling points that ensure a story gets on my to-read list. And yet I don’t regret reading the story; in fact, I enjoyed the book! 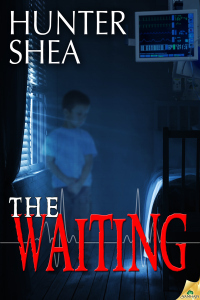 The Waiting is part medical mystery, part a journal of the pain of watching a person who you love suffer and struggle to recover, and part spine-tingling paranormal tale. Shea’s narrative is succinct, yet rich. The first chapter is brief, but shows a deep history between newlyweds Cassandra and Brian. The result is that, by the end of the first chapter, when Cassandra mysteriously collapses, there is a strong sense of investment and a desire to find out what happens next. Subsequent chapters are the same; Shea’s storytelling is skillful. The threads of fear that run through The Waiting never knit together into a full tapestry of terror – and I’m glad for it. Not only because it would have scared me senseless, but because it’s more tantalizing to be giving the teasing tidbits and let your mind do the rest. The Waiting is a short book and a quick read. I’m glad that I took a chance and side-stepped a little out of my comfort zone to read it. Clinging to life…haunted by the dead. Newlywed Cassandra Pagano lies in a state between life and death, her body fed and preserved by the machines at her side. While she struggles, unaware of the world around her, someone waits—a boy. A phantom that appears solid, real, alive. Cassandra’s husband, Brian, sees him in the house, by her bedside, running down darkened hallways. The boy walks without sound, whispers words that can’t be deciphered. Terror and tension are driving Brian to the breaking point. Why is the boy there, and what does he want with Cassandra…and her fading soul? Hunter Shea is the product of a childhood weaned on The Night Stalker, The Twilight Zone and In Search Of. But he doesn’t just write about the paranormal. He actively seeks out the things that scare the hell out of people and experience them, then he puts those stories to the page. 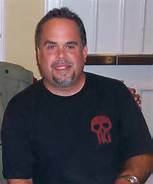 His novels and novellas Forest of Shadows, Evil Eternal, Swamp Monster Massacre, Sinister Entity, and The Waiting are published through Samhain Publishing’s horror line. He’ll have The Montauk Monster out soon from Pinnacle/Kensington and Hell Hole from Samhain this summer. He lives with his family and untrainable cat close enough to New York City to get Gray’s Papaya hotdogs when the craving hits. He’s also proud to be one half of the Monster Men video podcast, along with his partner in crime, Jack Campisi. Their show is a light hearted approach to dark subjects. They explore real life hauntings, monsters, movies, books and everything under the horror sun. Feel free to contact him any time at huntershea1@gmail.com. Writing is lonely work.